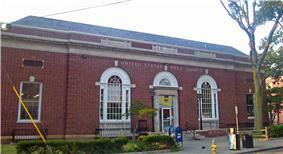 This is a list of the National Register of Historic Places entries in Peekskill, New York. 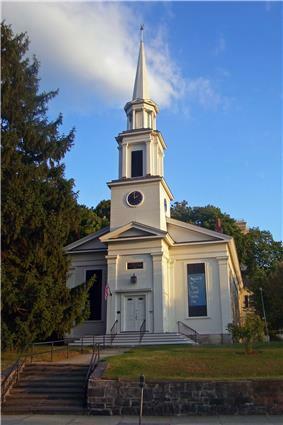 See also National Register of Historic Places listings in Westchester County, New York for all others in the county. 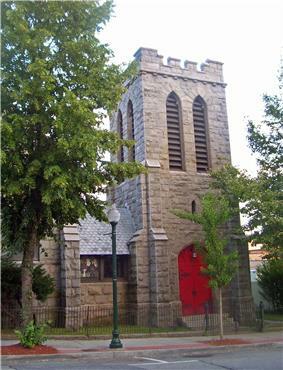 This is intended to be a complete list of properties and districts listed on the National Register of Historic Places in Peekskill, New York. The locations of National Register properties and districts (at least for all showing latitude and longitude coordinates below) may be seen in a Google map by clicking on "Map of all coordinates". 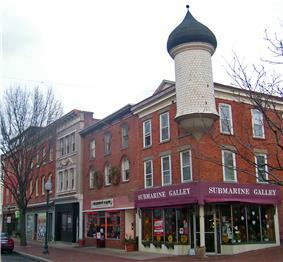 Peekskill Core of 19th-century Peekskill with landmark Moorish Revival tower at Division and South streets. Peekskill Abraham Lincoln stopped here on the way to his inauguration and gave a short speech attended by 3,000 people, more than twice the population of Peekskill at the time. It was only appearance ever in Westchester County. Current building is only intact freight depot along former Hudson River Railroad. Peekskill 1846 church has had same bell since congregation was founded in 1790s.